London : Britain’s Queen Elizabeth II is now the world’s oldest monarch following the death of King Abdullah of Saudi Arabia. Abdullah (90), who passed away on Friday, was two years older than the Queen, who will be 89 in April this year. She is one of the eight octogenarian monarchs in the world, the others including the King of Thailand and the Emperor of Japan. An anecdote has also emerged on Twitter about the Queen’s interaction with the former Saudi monarch based on the memoirs of former Saudi ambassador Sherard Cowper-Coles. It refers to a visit to the Queen’s Balmoral Castle in Scotland in 1998 when she offered to show the then Crown Prince Abdullah around her Scottish Estate. “To his surprise, the Queen climbed into the driving seat, turned the ignition and drove off. Women are not — yet — allowed to drive in Saudi Arabia, and Abdullah was not used to being driven by a woman, let alone a Queen,” Cowper-Coles writes. “His nervousness only increased as the Queen, an Army driver in wartime, accelerated the Land Rover along the narrow Scottish estate roads, talking all the time. Through his interpreter, the Crown Prince implored the Queen to slow down and concentrate on the road ahead,” it adds. The Queen is also the second-longest reigning monarch in British history, behind her great-great grandmother Queen Victoria, whose record she is due to surpass in September 2015. Posted on January 25, 2015, in Sri Lanka. Bookmark the permalink. 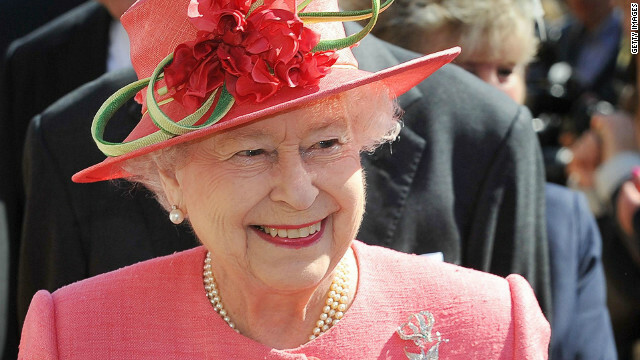 Comments Off on Britain’s Queen Elizabeth II is now the world’s oldest monarch.